If you're looking for a wine, who better to tell you about it than those who know it best - the people who make it and talk about it every day? 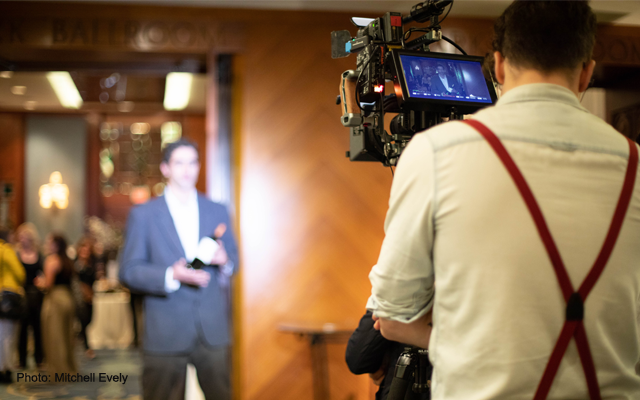 We captured 14 stories, told in 20 seconds or less, at a tasting which brought together wineries from around the world in celebration of the 20th anniversary of the Canadian wine distributor, Trialto. At the end of each video, we've included the suggested retail price of the wine in Canada. It's a great mix of wines and you can find our tasting notes for all of them in our Wine Search . One last note, some of the vintners featured here were included in a BC Food & Wine Radio broadcast that invited two winemakers, in four different segments, to share insights from their parts of the globe. That link is at the bottom of this article. Videos will play consecutively in the first video below, or see the individual stories, organized by regions, lower down. BC Food & Wine Radio, September 12, 2018: In a special show, BCFW pairs winemakers from opposite sides of the world, having only just met, to compare their experiences with organics, artisanal vs larger wineries, generational winemaking and regional similarities. Featuring: Chuck Ross, Diamond Creek, Napa Valley; James Lindner, Langmeil Winery, Barossa Valley, AU; Joan Cuisine, Pares Balta, Penedes, Spain, Matt Sutherland, Dog Point, NZ; Mark Conway, Pirramimma, McLaren Vale, AU; Blair Walter, Felton Road, Central Otago, NZ, Riccardo Bogi, Argiano, Tuscany, Italy; Alison Sokol Blosser, Sokol Blosser, Dundee Hills, OR. It's a stand out show, click here to listen at your leisure: iHeartRadio 9.12.18.